Procare Foils Triple Coloured Refill Pack. Premium Range Colour Refills 1 each Red, Gold, Blue 100mm x 100m. For those of you who like to keep track of multi toned colouring techniques these foils are ideal. 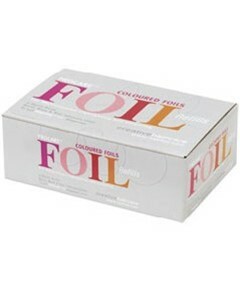 A superb quality foil, strong and easy to fold. For a suitable dispenser try the Cut & Fold which will not only do exactly what it says (cut & fold) but will also keep your foils in perfect condition.